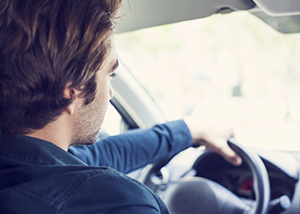 In an auto accident, evidence that one driver was violating a rule of the road is often used to support a determination of who is at fault for the accident. However, every driver, even when obeying all rules of the road, is required to exercise due care while driving. This requirement can see a driver who has obeyed all traffic laws to still be the cause of an accident. An example of this is reckless driving. While the law provides that driving in excess of the speed limit is evidence that the driver was driving recklessly, if another driver was not exercising due care, both drivers can be found to be at fault for a resulting accident. RCW 46.61.445: Due care required. Compliance with speed requirements of this chapter under the circumstances herein above set forth shall not relieve the operator of any vehicle from the further exercise of due care and caution as further circumstances shall require. If you’ve been injured in a car accident, do not hesitate to contact the experienced Spokane attorneys at Parke Gordon Law Firm to handle your case. Disputes over liability in an accident can see those injured in an accident receive inadequate compensation. The attorneys at Parke Gordon Law Firm will work hard to get you the compensation you deserve. Contact the law office of personal injury attorney Mat Parke today for a free consultation. This is your opportunity to speak with an experienced personal injury attorney about your case for free. Call (509) 482-7274 to get started on receiving a fair settlement from your personal injury case.